Philenews.com is an Internet domain which carries the most popular news and current affairs websites in Cyprus. It is a comprehensive portal of Cyprus’ largest publishing group, Phileleftheros. The website of Phileleftheros (www.philenews.com) has established itself among the most reliable sites in Cyprus and for many it is the most authoritative. The new version of the website is now online, with its new, modern design, technological upgrades, new options and above all interactivity for visitors. Besides the round-the-clock news updates, visitors can “participate” in current affairs with live commentary on every article. 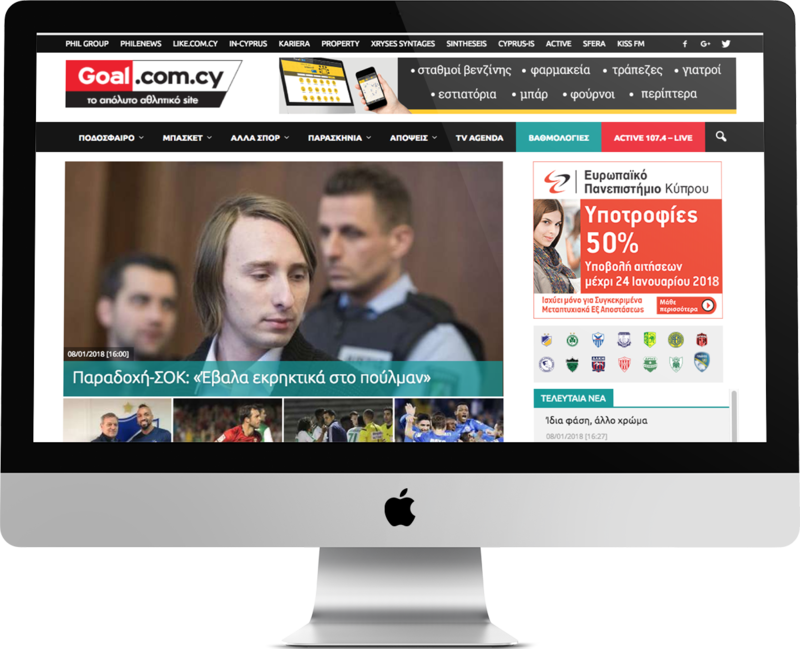 The best sports portal on the internet www.goal.com.cy offering live coverage (news and videos) round the clock seven days a week. Every moment, the strongest reporting team in the sporting media, offer a portal that is impressive both in content and appearance. The strongest team of sports writers with more than 60 motivated and experienced journalists in Cyprus, Greece and other European countries, offer an impressive sports portal in content and appearance at all times. Like — in the language of the social media — is a vote of confidence in something worth circulating. Like — in the world of the internet — means the transition of the much loved web page elita.com.cy into a much larger portal, www.Like.com.cy, with a view to welcoming even more web users. With a creative team of journalists and dozens of specialised associates from Cyprus and abroad, as well as the daily contributions of all the experienced journalists from the 10 top circulation and readership magazines of the Phileleftheros media group, www.like.com.cy is the most comprehensive and vibrant web page in Cyprus. 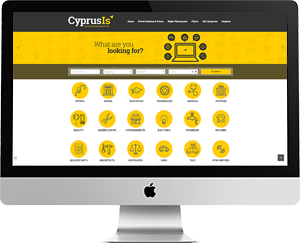 At the request of thousands of English-speaking internet users in Cyprus and abroad, in-cyprus.com, returns with a radical renewal of its presence in order to provide various kinds of information in a more comprehensible and functional manner. The website is addressed to an English-speaking audience, to those who live or work on the island, and especially to those who want to visit Cyprus [or the wider region of the Eastern Mediterranean]. 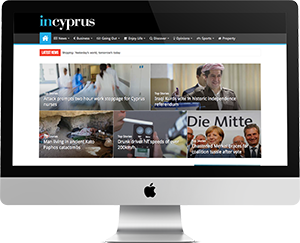 More specifically, in-cyprus.com is aiming at becoming your primary link to the digital world by keeping you one step ahead of the news in Cyprus, whether it’s entertaining or informative. With contributions from the must go-to food magazines in Cyprus (Xryses Syntages, Taste, Glykes Alhimies – Sweet Alchemy – and Life) the xrysessyntages.com site is the most reliable source of original, delicious and tested recipes and cooking articles. With a database of 4,000 recipes, daily updated and enriched, it aims to become the right hand of all cooking fans. The site is divided into manageable categories so the visitor can easily and quickly access a wide range of recipes and ideas for comfort food and gourmet dishes, tested recipes for an everyday meal, as well as suggestions for special occasions. 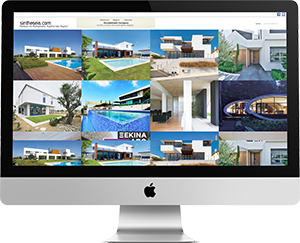 The pioneering property portal inCyprusproperty brings thousands of listings from the biggest estate agents and developers in Cyprus under one roof to cater for those looking to buy or rent their new home, flat or commercial premises. Listing all types of property with the sector’s best established professionals uploading on a daily basis whatever new is on offer for sale or rent, it makes the search for a next home or professional roof very quick and simple. kariera.com.cy is the online extension of the special edition KARIERA released every Wednesday along with the Phileleftheros newspaper with jobs from all major organizations and companies in Cyprus. In order to meet the growing needs of the dynamic labour market space, kariera.com.cy aspires to be the reference point of every candidate looking for work in Cyprus or abroad in any field, specialty or organization. 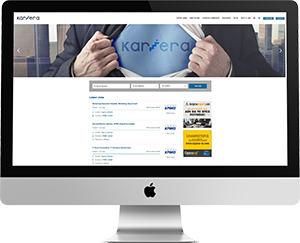 Organizations and companies that choose kariera.com.cy to post vacant jobs will approach thousands of candidates with each ad and will automatically receive the CVs of those interested, separately for each position they post. In addition to posting classifieds sorted by category, province, type of employment, company, etc., kariera.com.cy offers useful advice to all interested parties with specialized topics, statistics and references to trends in the field they work and guides the candidates on how to make their CV and present their profile in the best possible way. The island’s leading online business directory! Access 33.000 companies and professionals covering every sector and catalogued into 720 categories on your phone, pc or tablet in a quick and user friendly environment. The new nationwide radio station comes to enrich the news domain in Cyprus and appeal to all segments of society. With a focus on the main news, ACTIVE aims to provide coverage on Cyprus and the rest of the world, as well as news that relate to each and every citizen. The shows are packed with energy, action, speed, and passion, meeting the expectations of modern listeners who appreciate well-rounded news and an opportunity to offer their own commentary on the news. 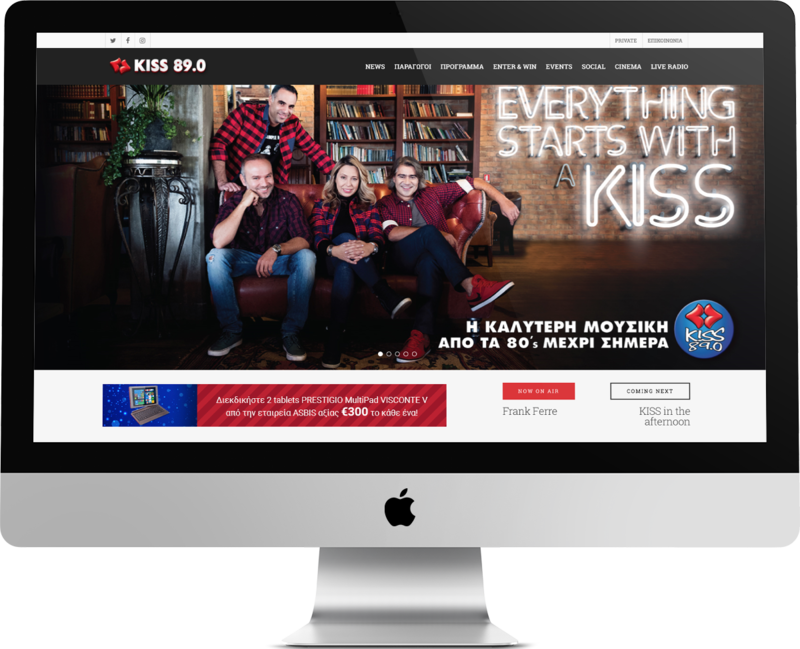 www.kissfm.com.cy is the official website of Cyprus’ leading English music radio station. It is an internet site created for fans of the best music from the 80’s to today. Surfing on the webpage, Kiss FM fans can listen to their favourite hits round the clock, wherever they may be and keep up to date with daily developments in the international music scene. Get to know our music producers through their candid introductions and enjoy the carefully-chosen music selection of the day. Together with the schedule and the people who create it, Sfera’s website is the image that puts a face to the voice. Modern, entertaining and above all interactive. By simply clicking on www.sfera.com.cy, you enter a world full of music. Meet all the station’s voices and find out everything you want to know about them. You will also find all the information about the station, its program and also your own top music picks. A large team of DJs, music producers and journalists make sure they are up to date with developments in the music world, so that you are the first to hear about them. The magazine “Sintheseis” (Compositions) has a history of 25 years with the largest photo archive on homes and buildings that were constructed in Cyprus in recent years. It also has a lot of details on the most remarkable residences abroad, from neighbouring Israel to far-away Brazil, all designed by leading architects. You can now view some of this material right on your computer screen. By visiting sintheseis.com you can take a virtual tour of the nicest homes, one room at a time, to get information tips and ideas on organising your space, materials, trends, as well as finding home renovation solutions, decorations, furniture and even street addresses of local shops.